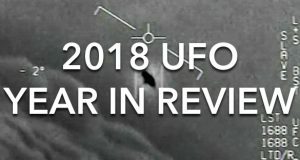 Open Minds UFO Radio: Hosts Alejandro Rojas and Martin Willis are joined by author and producer Lee Speigel to review the best UFO news stories of 2018. 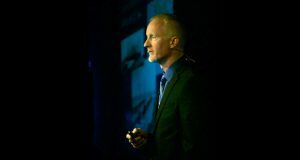 Open Minds UFO Radio: David is a UFO researcher and author. 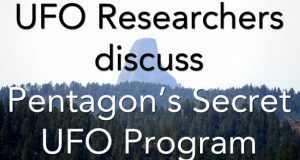 He’s had a lifelong interest in the subject of UFOs and joined the Mutual UFO Network (MUFON) as a field investigator trainee in 1990. 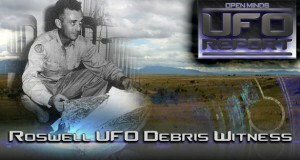 David continues to research the UFO phenomenon and has made substantial progress on unveiling new information on historical cases such as the “Battle of Los Angeles” UFO incident in 1942 and the Farmington, New Mexico mass UFO sighting in 1950. 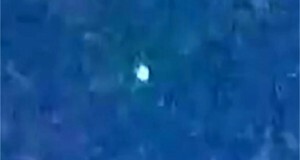 A couple celebrating Canada Day at Toronto's Harbourfront recorded a video of a mysterious "white shining disk," according to a UFO report they submitted today to the Mutual UFO Network (MUFON). Along with the report, the couple uploaded their video. 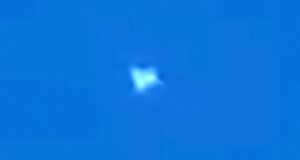 A North Carolina witness at Ayden reported discovering a UFO in video shot from a drone, according to testimony in Case 80053 from the Mutual UFO Network (MUFON) witness reporting database. 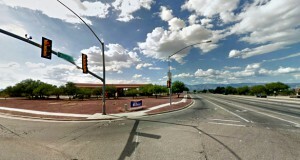 An Arizona witness at Tucson reported watching a hovering disc-shaped object just 50 feet off the ground, according to testimony in Case 80260 from the Mutual UFO Network (MUFON) witness reporting database. 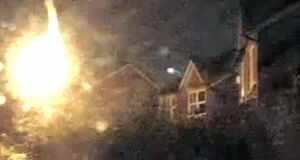 An odd luminous orb, meandering through a neighborhood in North West England, was caught on a security video last month. 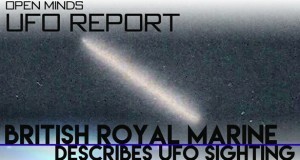 The witness spoke to The Bolton News, a local newspaper, and also submitted their sighting to the Mutual UFO Network (MUFON). 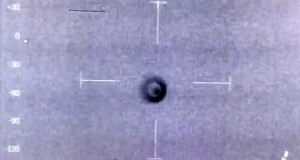 The National Police Air Service of St. Athan in Wales tweeted a video of an object caught on their helicopter mounted infrared camera that they could not see with their eyes. Apparently, they are baffled by the object and are asking their twitter followers for help identify the object. We spoke with a FLIR expert, and he agrees the video is "peculiar." 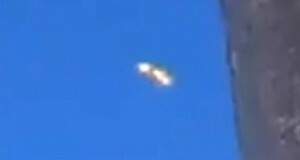 A New York witness between Florida and Goshen reported watching and videotaping a cylinder-shaped UFO where the entire object was lit, according to testimony in Case 79187 from the Mutual UFO Network (MUFON) witness reporting database. 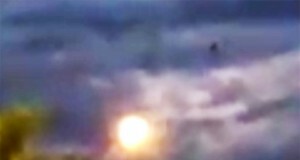 Maine video: UFO or drone? 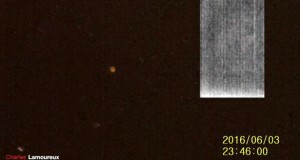 A Maine witness in Cumberland County reported watching and videotaping an unknown object that appeared to hover and then spin before disappearing, according to testimony in Case 77585 from the Mutual UFO Network (MUFON) witness reporting database. 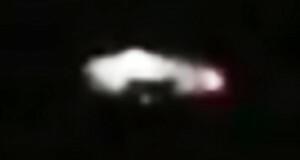 A Washington witness at Seattle reported watching and videotaping two highly reflective, “squared” UFOs, according to testimony in Case 77300 from the Mutual UFO Network (MUFON) witness reporting database. 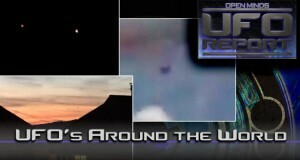 Stories in this week's show: Alaskan witness videotapes UFOs moving vertically, British witness photographs triangle UFO & Square UFO videotaped over Illinois. 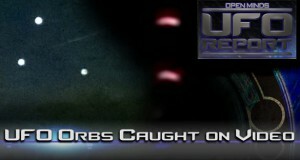 Stories in this week's show: Indiana witness snaps photo of hovering orbs, Arizona witness videotapes red lights UFO over Mesa & Mysterious orange orb caught on video in Vancouver. 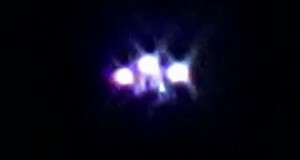 An Illinois witness at Batavia reported watching and videotaping a square or rectangle-shaped UFO silently crossing the sky about 8:50 p.m. on June 5, 2016, according to testimony from Case 76835 from the Mutual UFO Network (MUFON) witness reporting database. 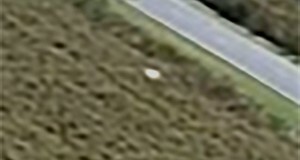 Stories in this week's show: Witness says photos show UFO changing shape, Ohio witness videotapes sphere UFO inside ‘translucent square’ & Kids tested material from Roswell UFO debris, claims witness. 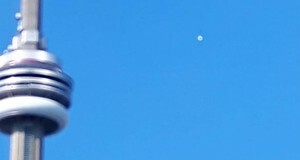 A UFO hunter in Vancouver caught an orange orb on video recently, using his specially outfitted UFO spotting cameras and lenses. He says the object was able to be filmed using his night vision camera, but it did not show up on his thermal, heat-sensing camera.